A city built on volcanic ash? Count me in! Pitigliano has been on my bucket list for a year. I didn’t know much about it, but I knew I wanted to see it with my own eyes and not through someone else’s Instagram feed. After an unforgettable day in Massa Marittima, Stefano (a member of the Maremmans and owner of L’Antica Sosta agriturismo) drove my husband Niccoló and me up to Pitigliano. He parked his SUV across the way, so that I was able to see this city living on tuff in all its glory at 1,026 feet above sea level. 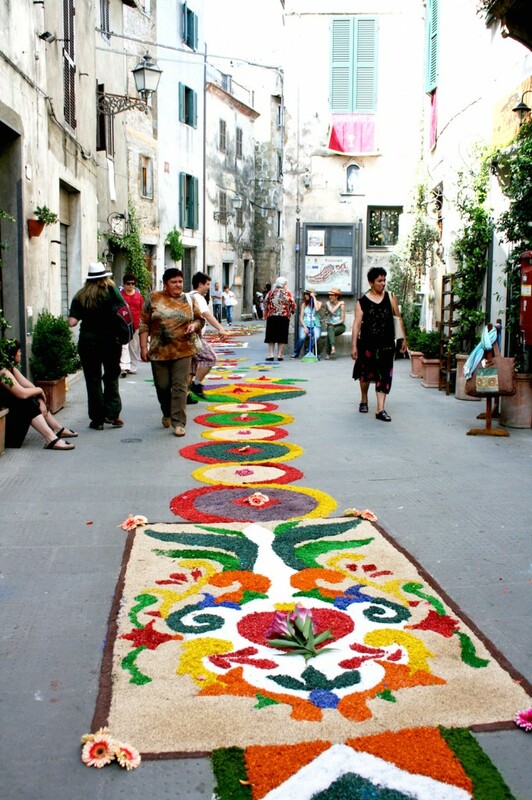 By chance, this Maremma trip coincided with the famous Infiorata di Pitigliano. 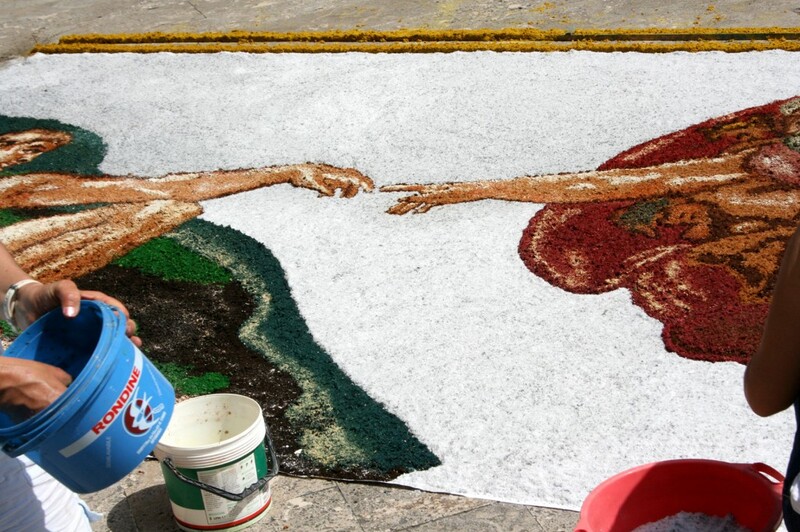 The Infiorata—flower art festival—is a traditional festival that falls in June, nine weeks after Easter on Corpus Christi. 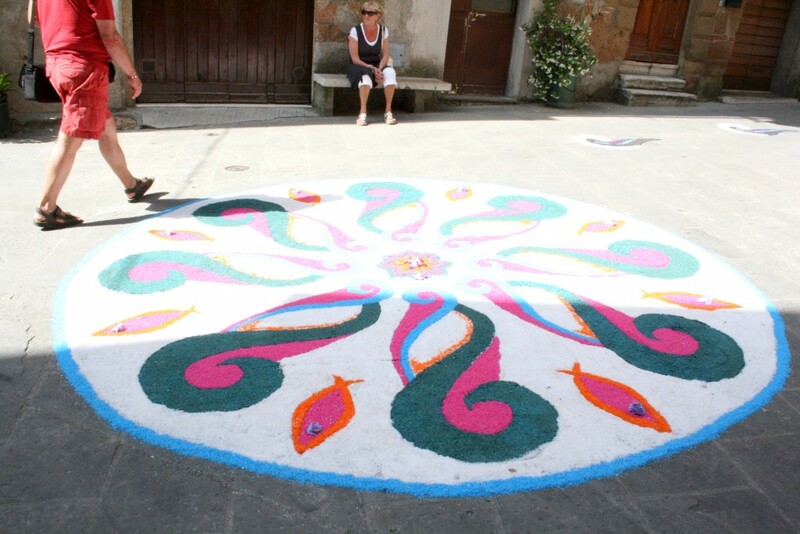 The flower art is quite intricate and takes the local volunteers days to prep. After coming up with a design, it needs to be stenciled on the ground and then filled in with flower petals, leaves, colored sawdust and wood chips. The colors are everywhere and the designs are impressive; one piece even replicating the Sistine Chapel’s most famous scene. We stopped at PanCaciUa for a mega lunch and met up with Irene, our guide for the day. 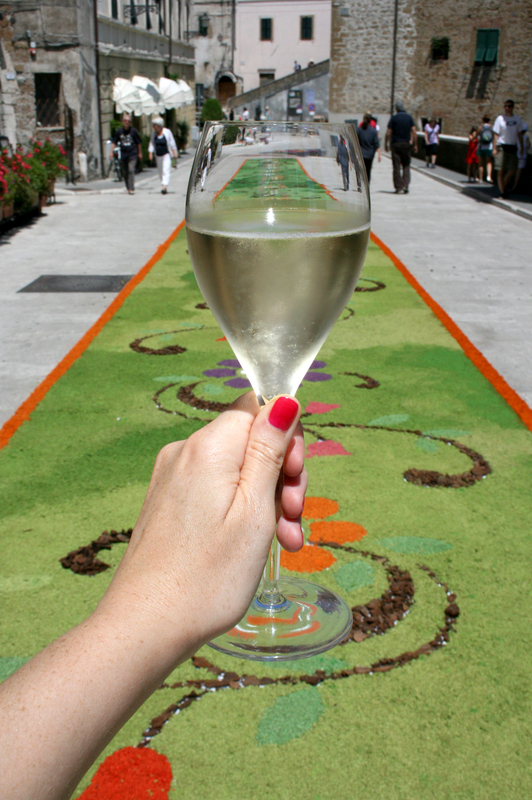 I had a robust filling of bruschetta, cheese, lardo and Prosecco to get me ready to explore the rest of the city covered in flowers. 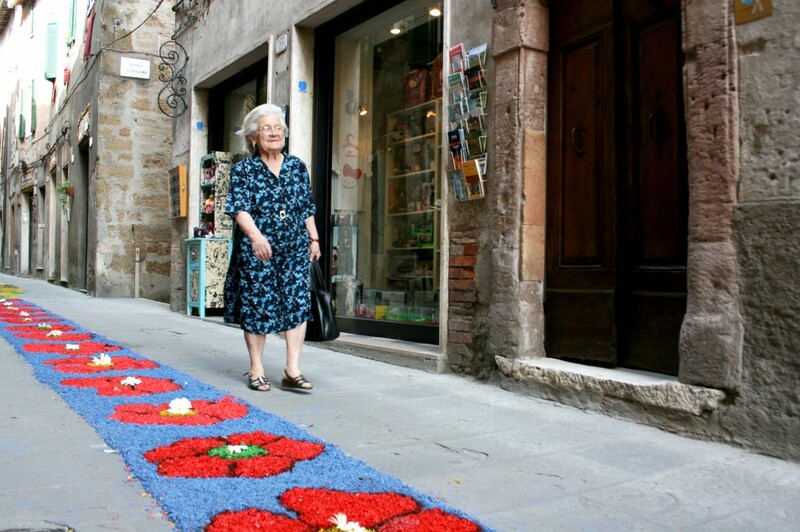 The picture-book streets where lined with flowers and nonni helping set up for the Infiorata parade that starts in the late afternoon. I couldn’t believe that people actually lived in such a precious place. Irene took us through the town passing the Orsini Palace, 500 year-old aqueduct put in place by the Medici’s, and the Jewish ghetto. Pitigliano—AKA Little Jerusalem—was a place where Jews and Catholics peacefully coexisted until 1622 when the Jews were confined to what is now the ghetto and were obligated to wear red badges and hats. The ghetto desegregated in 1799 and ever since Italy’s unification in 1861 the Jewish population dwindled now that they were allowed to move freely. Lunch was quite a Tuscan feast at PanCaciUa. A local boy scout keeping the flower art damp, so it doesn’t fly away. 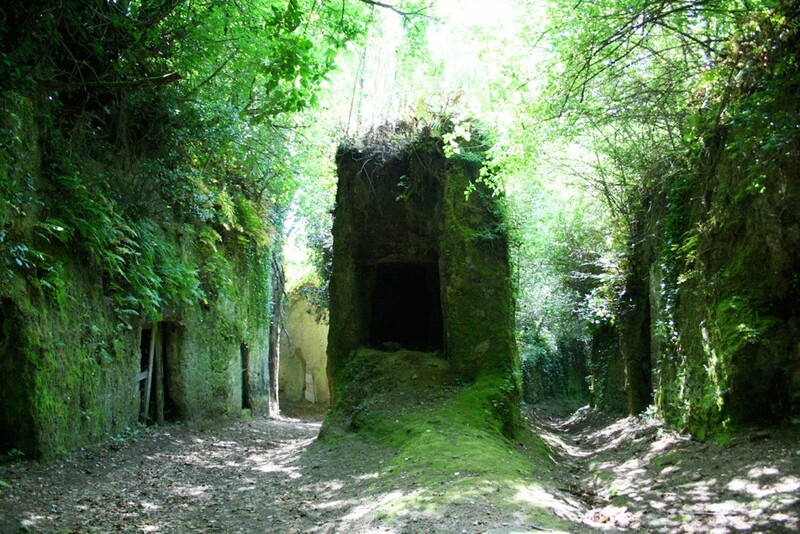 A few exciting historical sites down below Pitigliano are the Vie Cave, which were the excavated roads used by the Etruscans. These intricate lanes lead to our next destination, Sovana. Sovana is a small city whose walls are made out of tuff and is situated near the famous Etruscan Necropolis, Tomb Ildebranda being the most famous. These thousand year old tombs actually housed Romans back in the medieval era and earlier, image that! 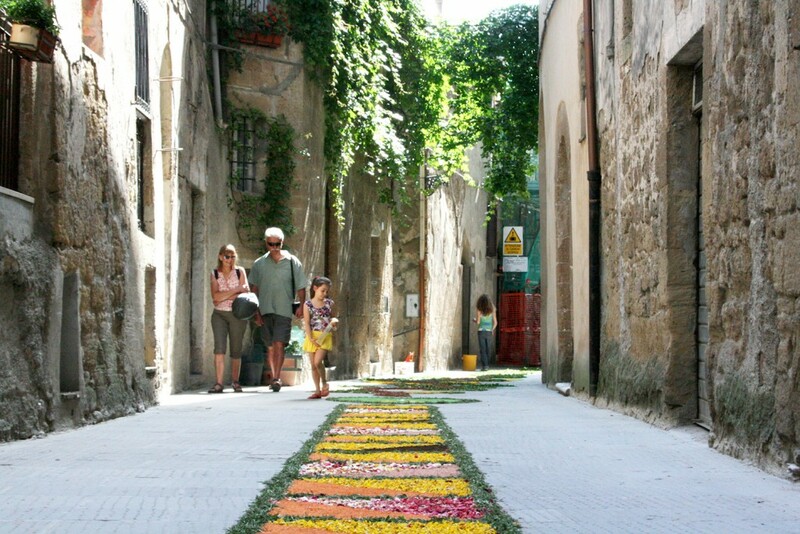 What gets me the most is that Sovana used to be a massive city of three whole streets, but it has shrunk down to two. I think I took a picture of all the inhabitants in one shot right outside the sweet church of Santa Maria Maggiore. The beautiful Vie Cave, what looks like a forest of caves. 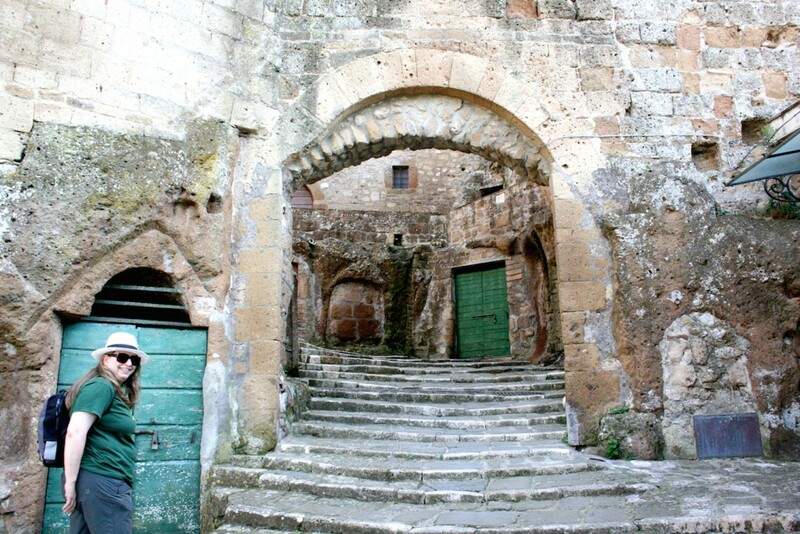 One of the back entrances to Pitigliano from Vie Cave, that’s the amazing Irene! 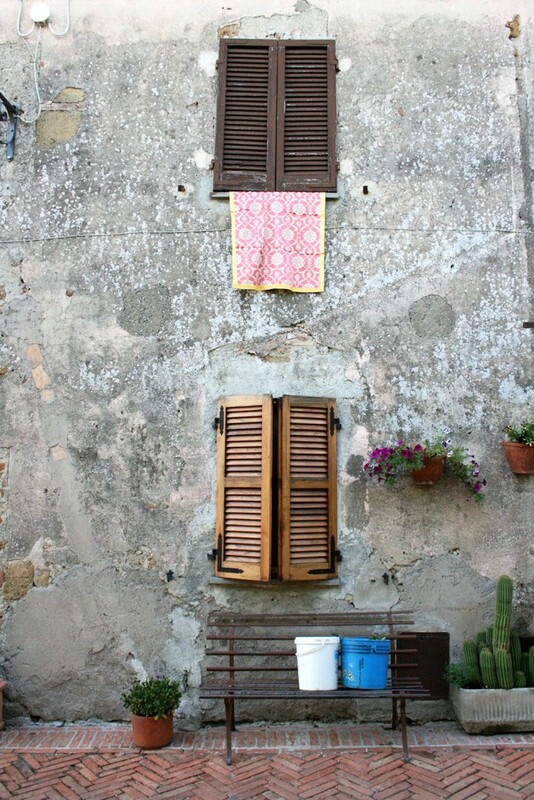 A favorite scene from Sovana. Aperitivo time was at the wildly romantic and organic Sassotondo winery where owners Carla and Eduardo served us along with fellow Maremman Lilia Sartucci, from Distribuzione Vini Rosati. 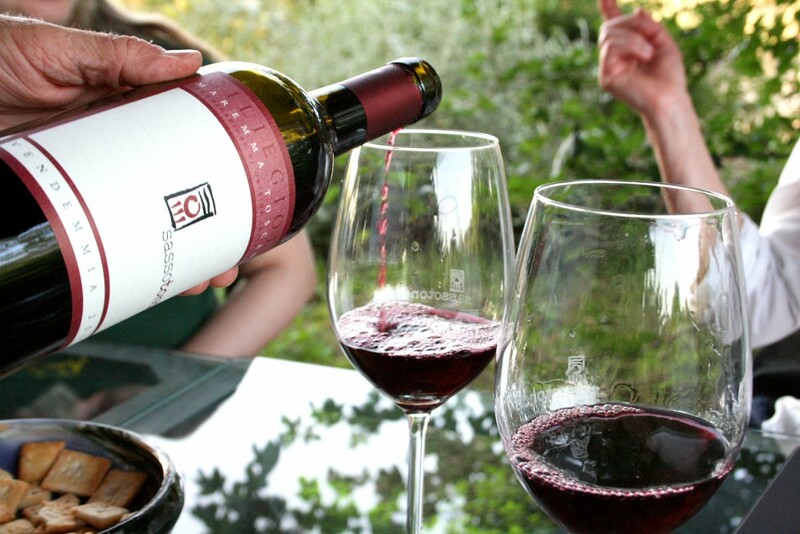 Sassotondo’s wine cellar is dug into the tuff, making for the optimum temperature for any winemaker or collector. Sunset soon seeped in and it was time to get back to Pitigliano for an incredible dinner at Hostaria Del Ceccottino. They serve delicious traditional food like lamb and local desserts that I’ve never seen before in other parts of Tuscany. Luckily, our hotel Il Tufo Rosa was conveniently in the heart of the old part of Pitigliano, so we didn’t have to go far to get some rest and get ready for Day 4 in Montemerano! I had an amazing experience walking through the streets and Etruscan tombs with Stefano, Irene and Lilia. It’s amazing that less than 30,000 tourists a year get to witness this special place in Southern Tuscany. 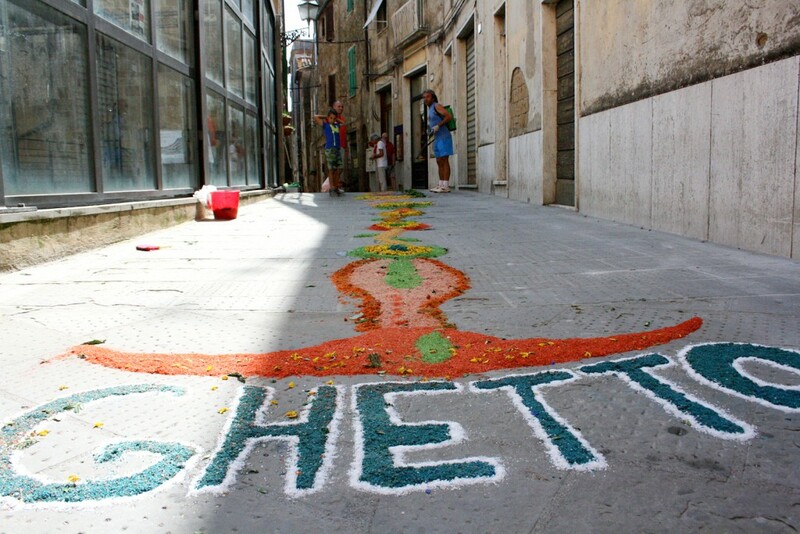 Hopefully, more people will make an effort to explore Maremma more. What’s the most unique city you’ve ever visited? Pin those pics and share this post, thanks! 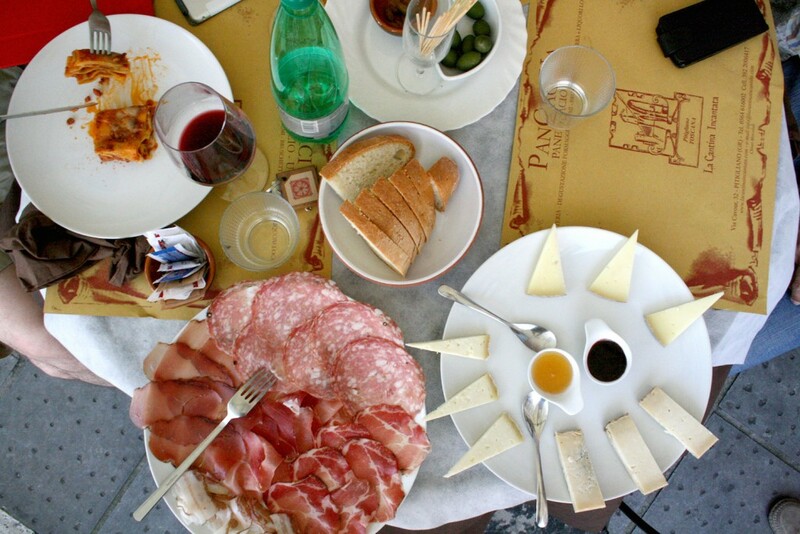 Your photos are really making me want to go back to Tuscany! Gorgeous! You guys need to hit up this place!! Oh my god, we stumbled on Pitigliano by chance when we were driving back to Rome through Tuscany a few months ago. We didn’t get a chance to stop but we took some pictures from far away and it looked fantastic. We’ve also gone to Civita di Bagnoregio, I don’t know if you’ve heard of it. 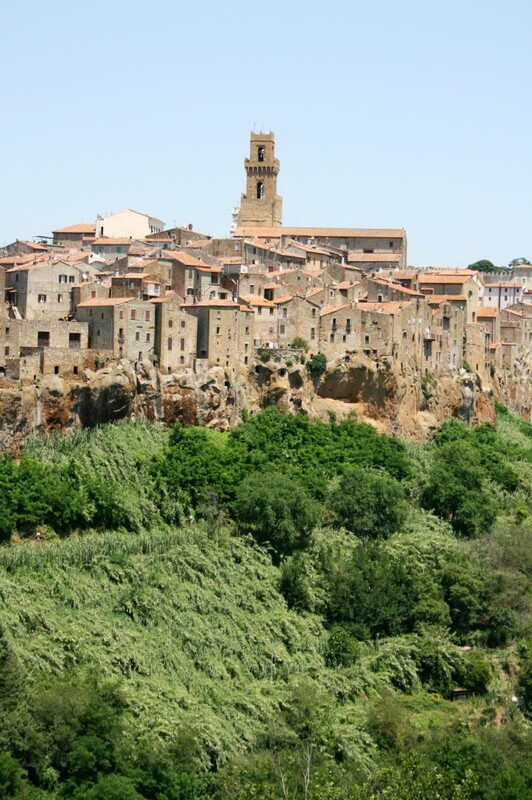 It’s in Lazio, but just bordering Tuscany, and it kind of reminded me of Pitigliano as well. 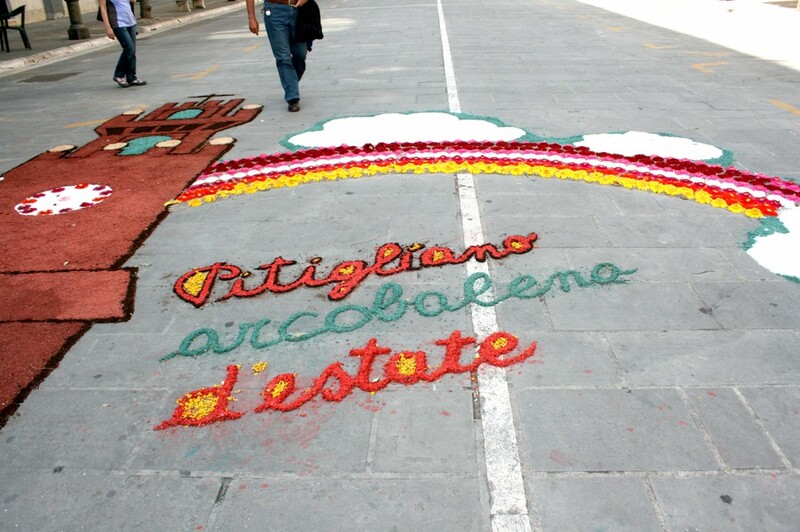 I love your Infiorata pictures! 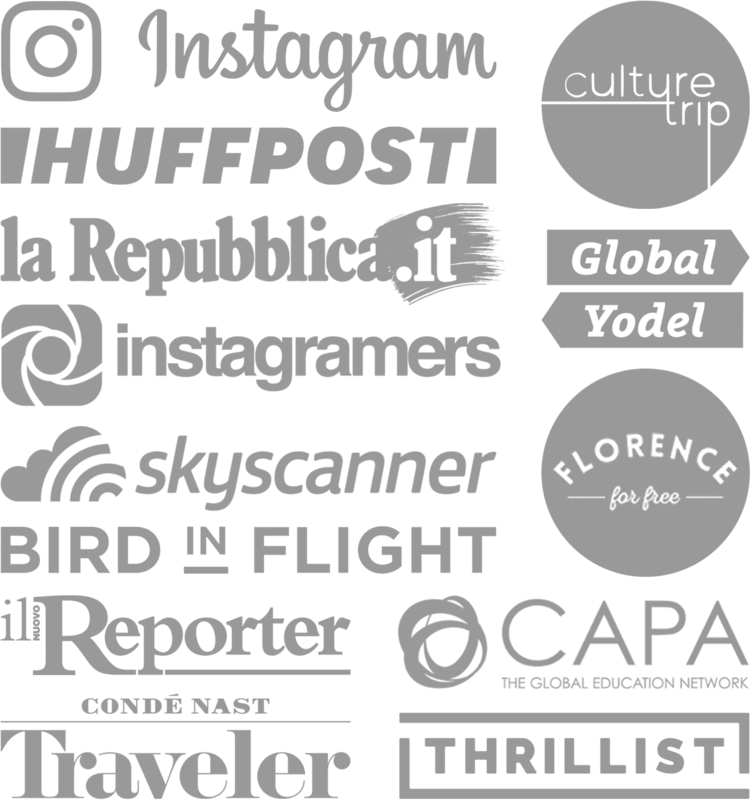 I have not really explored further south of the region yet, but I hear there is more to see and I really hope to visti again…would love to explore Lazio more too! 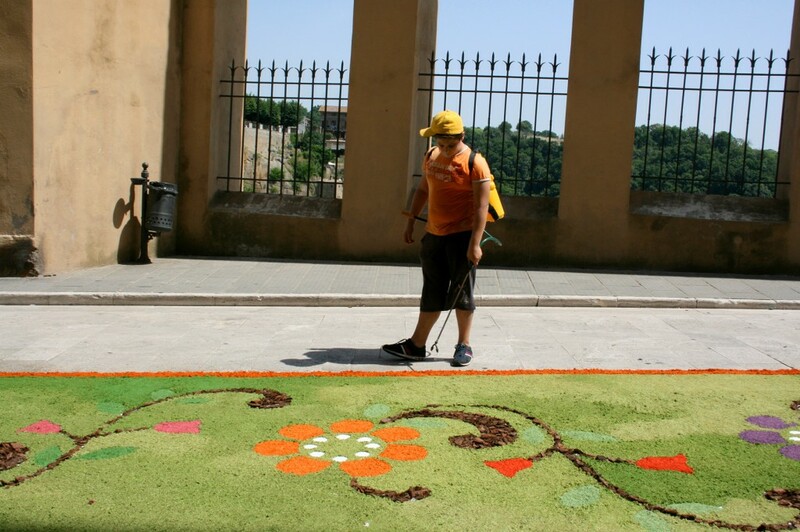 Thanks, the Infiorata was really fun to see in the making as the city really works together to offer such a great experience. It’s something else, must see! Thank you Heather, you will have a beautiful time there during Christmas. I’m sure there will be markets and lights everywhere!